World Solar Challenge Archives - Solar Love! Home Tags Posts tagged with "World Solar Challenge"
There’s been so much press about the Tesla Model S that the profile of electric cars has been raised considerably. Naysayers point out that the electricity used to charge EV batteries sometimes comes from coal power plants. This is true, depending on where you live. In California, it is mostly not true and Washington state has much hydropower, so an EV would powered by falling water. Some people are charging their EVs with solar panels on their homes, though currently there aren’t that many. What if the solar cells were integrated into the surface of the EV? Students at Stanford are working on an electric car that has a very large surface area and low drag to compete in a world solar challenge held every three years in Australia. The cars have to complete a two thousand mile course in the outback under grueling conditions. There are race teams from about twenty nations. The Stanford team has about 15 members. Of course, it’s a learning experience for them, but it’s also a life-changing set of experiences because of the practical nature of the teamwork and technical challenges. In other words, it isn’t the same as sitting in a classroom listening to lectures. If it sounds completely far-fetched that one day we will have solar cells powerful enough to charge or partially charge an EV, it wasn’t that long ago that mechanized transport seemed impossible to some. If someone asked what the average speed of a weird-looking one passenger electric car powered entirely by solar panels was as it drive through the Australian outback was for several days what would say? One winning team’s car averaged 62 miles per hour. That actually could be the same average speed of a motorist on American highways taking a long road trip for a summer vacation. 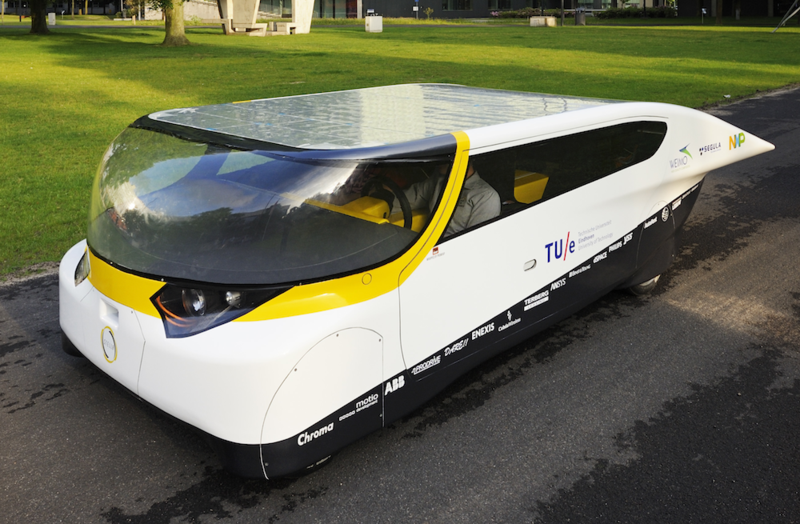 Yes, the car is only a one-seater currently, but that is because it allows more surface area for solar power. When solar cells increase in their power due to technology enhancements, it will likely become possible to have a two seat all solar power electric car. It would also make sense to make it a plug-in EV so its batteries could be charged from an external charger as a backup power source. The point is clear – the Stanford students and their competitors are doing anything outlandish or without purpose. Their work is well beyond the boundary of what society practices, but they are also leading the discovery of what will become new technology used by many. In fact, employing a ‘Moonshot’ mentality is one of the key approaches used at one of the most successful companies in the world: Google. So, trying to achieve a huge goal, rather than small ones over and over can inspire people much more than the practice of incrementalism. It wasn’t that long ago that forward-minded people were leasing EV-1s from General Motors. Today, an award-winning electric sedan with a much larger range is driving on many streets – the Tesla Model S.
For some reason, the mass of society doesn’t typically see the change as it is happening, but the Stanford solar car team is living it.